Prepaid mobile plans are a great way to save money on voice and SMS and that's true for data too. Here are my favorite operators and MVNOs (listed in alphabetical order) for affordable prepaid voice, messaging AND mobile data on U.S. national carriers. Scroll down the post for recommendations by network and level of usage. This post is constantly being updated as data plans and pricing change frequently. Last updated: June 27, 2018 - Page Pils PayGo now allows LTE phones. Air Voice Wireless (888-944-2355) is AT&T MVNO monthly and pay as you go plans. The monthy plans are not competitive and aren't listed here. Airvoices's pay as you go plan are a good value for some low usage customers. AT&T Prepaid (formerly AT&T GoPhone) 800-901-9878) : The largest US GSM operator's data offerings have gotten a lot more competitive lately, particularly on monthly plans. An autopay discount of $5 is available on $35 - $45 plans, the autopay discount is $10 on $50, $65 and $85 plans. Unused data on the $35, $45 and $50 plans rolls over to the next month when the plan renews. However, plan data is used before rollover data and rollover data expires after 30 days. That means that unless your data usage alternates from low one month to high the next you are unlikely to be able to use much of your rollover data. AT&T Prepaid's Daily plan costs $2/day for unlimited domestic voice minutes, unlimited domestic and international messaging. Data can be added as needed for $1 for 100 MB good for one calendar day (day ends at midnight CT). The $2 fee is charged only on days a call is made or answered or a text is sent. A nice feature is that Incoming texts and data use do not trigger the $2 daily fee. To add a data package to one of these plans you can either call 611 from the handset and wade through the voice response menus or use the AT&T's Pay As You Go Online site. It's also possible to set up automatic refills using the web site. Boom Mobile (800-767-5599) is a Verizon, T-Mobile and Sprint MVNO that launched at the beginning of 2016. Boom is part of Enhanced Communications Group (ECG), a provider of residential and business phone service since 1997. Boom offers some of the most cost-effective Verizon plans currently available. Boost Mobile (866-402-7366) Owned by Sprint, Boost offers CDMA service using Sprint's native 2.5G, 3G EVDO and 4G LTE network. Boost has monthly plans only. The monthly plans include unlimited voice and messaging and varying amounts of high speed data. Throttled speed after the high speed data allowance is consumed is 128 Kbps on all plans. Cricket Wireless (800-274-2538) AT&T acquired Cricket in March of 2014. Current Cricket phones use AT&T's GSM and LTE network. AT&T is positioning Cricket as its value priced prepaid brand. Cricket offers more data for less money than AT&T Prepaid. However Cricket data speeds are lower. On most plans, High-Speed data is throttled to a maximum of 8 Mbps for LTE data and 4 Mbps for HSPA+, either of which is still fast enough for most uses including video streaming. Cricket offers a $5/month auto-pay discount and a group save discount of $5 to $20 per line for multiple line accounts. Cricket SIMs and phones are sold online, at Walmart, Target and some GameStop stores and through a large network of Cricket stores and authorized dealers. Cricket products are not available at AT&T stores. Ecomobile (855-825-8855) is a multi-operator MVNO offering service on your choice of Verizon, T-Mobile or Sprint. Ecomobile's monthly plans include unlimited domestic and international SMS and unlimited domestic voice and data with varying amounts of high speed data. GoSmart Mobile (877-582-7788) is owned by TracFone GoSmart phones and SIMs are sold online and by independent mobile dealers. GoSmart offers monthly plans only, including four plans with unlimited data. Data is limited to 3G speeds. GoSmart has native T-Mobile network coverage with no roaming. Any T-Mobile or unlocked phone will work with GoSmart. H2O Wireless (800-643-4926.) is a long established AT&T MVNO with monthly and pay as you go plans. Tends to have some of the best prices among AT&T MVNOs for monthly plans. High speed data is throttled to 8 mbps for LTE and 4 mbps for HSPA+. H2O's pay as you go plan is a good value for very light use. It has a minimum cost of $10 every three months ($3.33/month) and rates of 5¢/text, 5¢/minute and 10¢/MB of data. Lycamobile (866-277-3221) launched in 2005 in the UK and is Europe's largest MVNO,with over 6 million users. In the US Lycamobile has operated as a T-Mobile MVNO in March, 2013. Lycamobile has monthly and pay as you go plans. The monthly plans have generous data allotments and low international calling rates. Data is not available on the pay as you plan. MetroPCS (888-8metro8) , which was acquired by T-Mobile in May 2013, offers unlimited talk, text and data for as starting at $30/month on T-Mobile's GSM network with off-network voice and text roaming. Hotspot and tethering are permitted on all MetroPCS plans except the $50 unlimited data plan. Mint Mobile (844-646-8746) is T-Mobile MVNO Ultra Mobile's brand for value priced multi-month plans. Mint Mobile plans are substantially less expensive that comparable Ultra Mobile plans for customers who are willing to commit to paying for three, six or twelve months in advance. NET10 (877-836-2368): Another América Móvil brand with a range of unlimited monthly plans. NET10 also sells its own line of phones which, depending on phone model, run either the Verizon, Sprint, AT&T or T-Mobile network. NET10 also allows you to use your own unlocked GSM or locked AT&T, T-Mobile, Sprint or postpaid Verizon phone. 4G LTE data is available on all four networks. NET10's terms of service prohibit tethering and "continuous" video streaming. NET10 phones, SIMs and airtime are sold by independent dealers and national chains like RadioShack, BestBuy and Walgreens. Page Plus (800-550-2436): Is an América Móvil owned MVNO that offers pay as you go and monthly plans and uses the Verizon network. .
PureTalkUSA (877-820-7873) is another AT&T MVNO with good data pricing on their monthly plans. PureTalkUSA SIMs are $3 with a plan purchase and work with unlocked GSM phones or any AT&T phone. Real Mobile (877-316-0493) has monthly and pay as you go plans on the Sprint and AT&T networks. The Sprint based pay as you go plan is one of the better value plans available. Red Pocket Mobile (712-775-8777) is sold online and through independent mobile dealers. Plans are available on all four national networks; AT&T, Sprint, T-Mobile and Verizon. Customers choose one of the four networks when activating their service. Plans and prices are identical on all four networks. In addition to its regular plans, Red Pocket offers value priced multi-month plans on eBay and Amazon. Republic Wireless (no support phone number) which launched in late 2011, is notable for offering unlimited voice, SMS and 1 GB of data with free off-network voice and extra cost voice and text roaming, for $20/month plus taxes and fees. The low price is made possible in part by custom phone firmware which shifts voice, SMS and data traffic to WiFi, if it's available. Selectel Wireless (877-218-5744) launched in May, 2013. Selectel's monthly plans are similar to comparably priced plans from Page Plus. Selectel offers a $10 Flex card that can be used to pay for overages on any Selectel plan. The Flex Card has attractive rares (5¢/voice minute, 5¢/SMS, 5¢/MB of data) and is unusual in that the funds on it never expire. SpeedTalk Mobile (866-701-5577) is a T-Mobile MVNO with a $5/month no-rollover PayGo plan that gives you any combination of 250 minutes, texts or MBs of data for $5. SpeeedTalk's other plans are largely uncompetitive. Straight Talk (877-430-2355) is a TracFone sub-brand that offers service on AT&T, Verizon, TracFone and Sprint. Straight Talk sells SIMs that allows you to use your own unlocked GSM phone on AST&T or T-mobile or a locked AT&T or T-Mobile phone or a Verizon postpaid phone on their respective networks. Straight Talk doesn't sell Sprint SIM but can activate Sprint phones using the appropriate SIM from Sprint. SIMs for the AT&T, T-Mobile and Verizon networks are available online from www.straighttalkbyop.com and from Walmart. Straight Talk also sells its own line of phones which, depending on phone model, run either the Verizon, AT&T or T-Mobile network. 4G LTE data is available on the all four networks. Straight Talk's terms of service prohibit tethering and "continuous" video streaming. Tello (866-377-0294), a Sprint MVNO which has been in business since December, 2015, offers build your own plans where you create a plan by combining bundles of minutes and/or data as well as pay as you go plans. All build your own plans include unlimited SMS at no extra cost. Tello allows using your phone as a hotspot and offers BYOSD, auto pay and LTE. Tello's pay as you go has the lowest minimum monthly cost and the lowest price per minute, text or MB of data of any pay as you go plan currently available. Ting (855-846-4389) Is a Sprint and T-Mobile MVNO. Ting can activate T-Mobile and unlocked GSM phones and most Sprint phones except BlackBerrys, and PTT and WebOS phones. LTE is available. Ting has an unusual pricing model that's a hybrid of pay as you go and a monthly plan. There's a $6 monthly fee plus separate buckets (Ting calls them tiers) of voice minutes and data. There are five tiers for each type of usage. Minute tiers run from $3 for 100 minutes to $35 for 2100. Data tiers are from $3 for 100 MB to $29 for 2 GB. Prices across all tiers average around 2¢/minute, 1¢/text and 5¢/MB. Ting is a good value for moderate users. The sweet spot seems to be about 75-1000 minutes, 75-1000 messages and under 500 MB of data which costs between $12 and $41 before taxes and fees which run between $1 and $10/month. A plus with Ting is no-extra cost voice and SMS roaming. T-Mobile (877) 479-3502: T-Mobile monthly plans including a$3/month pseudo pay as you go plan. T-Mobile's Simply Prepaid plans include no-extra cost hotspot with high speed data up to pan limits. The $75 T-Mobile One unlimited plan includes unlimited hotspot but hotspot data is throttled to "3G" speeds. Total Wireless (866-663-3633) is TracFone's newest brand, launching at the beginning of 2015. It's a Verizon MVNO sold at Walmart, Target and Dollar General stores and online. Total has very good prices. In common with other TracFone owned brads, Total Wireless reliability and customer support have been quite uneven. I've seen an unusually high incidence of reports of activation, number porting and data issues and customer support's inability to resolve issues with Total Wireless. TracFone Wireless (800-867-7183) is América Móvil's traditional pay as you go brand. It's now offering iPhones and Android phones that run on the Verizon and AT&T networks.TracFone also supports limited BYOP. You can activate most AT&T and Verizon phones including LTE capable phones on TracFone and get triple-triple rates. As with all operators, BYOP phones must not be reported lost or stolen or have money owed to their original carrier by the current or a previous owner. Verizon phones are not eligible until after they have been used on Verizon Prepaid for the length of time or dollar amount of top ups specified on the package. TracFone billing is very complex with at least four different billing models. See our TracFone Prepaid operator profile for details. The best deal is the "Triple-Triple" billing that is available with old-stock BYOP SIMS and TracFone smartphones. Triple-Triple uses separate buckets for minutes, texts and data, a $19.99 "60 minute" card gives you 180 minutes, plus 180 texts plus 180 MB of data. Newer BYOP SIMs and TracFone Smartphones require special "smartphone only" airtime which has a higher minimum monthly cost than triple-triple . There are also special data only cards that add 1 GB for $10, and a $10 Text Card that adds 1000 texts. Unused minutes, texts and data rollover indefinitely as long as the account is kept active by adding another airtime card every 90 days. Ultra Mobile (888-777-0446) is a T-Mobile MVNO with monthly plans only. Ultra has some of the best sub $30 plans with data from any operator. Ultra is also notable for it's international calling features. Ultra Mobile supports international direct dialing and all plans include unlimited calls to at least 60 countries. US Mobile (888-878-1488) is a T-Mobile MVNO that uses a tiered pricing model similar to Ting's. There's a $2 monthly fee plus separate tiers of voice minutes, messages and data. There are six talk and text tiers and seven data tiers. Minute tiers run from $3 for 100 minutes to $15 for 5000. Data tiers are from $2 for 100 MB to $35 for 8 GB. US Mobile's prices are lower than Ting's, but Ting offers more flexibility including mid-month plan changes and multi-line plans. Unlike Ting, US Mobile doesn't offer voice and text roaming. Verizon Wireless (800-901-9878) has four prepaid smartphone plans with unlimited voice, messaging and data. $40/month for 3 GB of high speed data, $50/month for 7 GB, $60/month for 10 GB or $80/month for "unlimited" high speed data. The $40 - $60 include unlimited 128 Kbps throttled data after the high speed data allotment is used up. Unlike some Verizon MVNOs, all high speed data is not throttled to 5 mbps. However video streaming is throttled to deliver 480p quality and prepaid data prioritized below postpaid data when network is congested. Any prepaid or postpaid Verizon smartphones can be activated on these plans. AT&T $35 1 GB, $45 for 6 GB, $50 8 GB, $65 unlimited. Total Wireless $35 5 GB. Hotspot and Tethering: If you want to share your mobile data with a laptop, tablet or other devices, the following operators officially allow tethering and using your phone as a WiFi hotspot at no extra cost: AT&T Prepaid ($35 and $45 plans only), Boom Mobile (iPhones only), Boost Mobile, MetroPCS (except $50 plan), GoSmart ($55 plan only), Republic Wireless, T-Mobile Prepaid, Verizon Prepaid ($40, $50 and $60 plans only), Mint Mobile, US Mobile, Tello and Ting. Cricket Wireless allows hotspot only on the $55 and $60 plan and charges $10/month extra for hotspot usage. The operators that allow hotspot typically provide little or no support for the feature. Users are responsible for finding a way to make it work which may require additional apps and/or phone modifications. Here are tables summarizing all the plans mentioned above. AT&T Prepaid Smartphone Monthly with Data $45-$85 13 AT&T 0-$20 Any At&T or unlocked GSM phone unlimited unlimited Unlimited. T-Mobile One Prepaid $75 T-Mobile $20 Any T-Mobile or unlocked GSM Unlimited Unlimited unlimited high speed data on the phone, unlimited hotspot at "3G" speeds. 2 Cricket's high-speed data is throttled to a maximum of 3 mps on $55 plan, 8 Mbps for LTE data and 4 Mbps for HSPA+ on other plans. Throttled speed after HS (high speed) data is 128 kbps. 3 Airvoice: $20 plan includes 50 MB of high speed data followed by 50 MB of throttled data. $30 plan includes 500 MB of high speed data followed by 500 MB of throttled data, $50 plan includes 2.5 GB of high speed data followed by 2.5 GB of throttled data. Throttled speed is 128 Kbps. 4 Selectel charges $15 to activate its own phones and $30 to activate customer's BYOD phones. Some Selectel dealers offer low cost or free activations. 5 Verizon: Unused high speed data "Carryover Data" rolls over to the next plan month. Carryover data expires after 30 days. All video streaming throttled to deliver 480p quality. Prepaid data prioritized below postpaid data when network is congested. Hotspot allowed (throttled to 600kbps on $75 plan). 6 Red Pocket: $1 autopay discount on $20 plan, $5 autopay discount on $30 and higher plans. 8 Unused data rolls over. Plan data is used before rollover data and rollover data expires after 30 days. 9 High speed LTE throttled to 5 Mbps on Boom Mobile, Red Pocket Verizon, Selectel and EcoMobile Verizon. 12 Phones and SIMs purchased at Walmart and activated in a new line of service receive 1 GB of bonus high speed data. Bonus data does not roll over. 13 Mint SIM: New customer promotional pricing for first three months: 2 GB plan: $45, 5 GB plan $60, 10 GB plan $75. 14 Boost $50 plan: video streaming is degraded to 480p resolution, audio streaming us restricted to 500Kbps, online gaming data throttled to 2 Mbps, hotspot throttled to 128 Kbps after 8 GB is used. Boost offers a $10/month add-on that increases video resolution to 1080p or better, allow music streaming at up to 1.5 Mps and gaming streams at up to 8 Mps. 15 Verizon Prepaid LTE phones must be used on Verizon Prepaid until the conditions listed on the package have been met before they can be used on Verizon MVNOs. Verizon Prepaid non-LTE phones must be used on Verizon Prepaid for 12 months before they can be activated on Verizon MVNOs. 18 AT&T $65 plan - data subject to de-prioritization anytime the network is congested, hotspot blocked. $85 plan - data subject to de-prioritization if the network is congested and more than 22 GB have been used in the current month, hotspot allowed but throttled after 22 GB. 2 Ting, US Mobile, Tello: average prices based on using half the middle tier of minutes, texts and data. 4 Selectel charges $15 to activate its own phones and $30 to activate customer's BYOD phones. Some Selectel dealers offer free activations. There's also a $2/month service fee and taxes and fees that add an average of 9% to plan costs. All custom plans that include minutes allow unlimited domestic texts at no extra charge. Pay As You Go Plans With Data Available Unused plan payments roll over unless otherwise noted. 2 Airvoice deducts a $1 maintenance fee from your balance each month on the $10/90 day pay as you go plan. 4 AT&T ad-hoc data - 0.02¢/KB is not available on smartphones. 7 Tello airtime doesn't expire as long as call, text or surf the web at least once every three months. Tello's minimum top up is $10. 9 Plus a $1/month "cost recovery fee"
Thanks for a great website to help those of us heading to the States know what's out there. I'll be traveling with an unlocked iPhone 3GS, so I gather my only options for a plan with data are AT&T or T-mobile. Does anyone know if AT&T (or T-mobile) allow internet tethering on the iPhone, so that I can hook up my phone to my laptop and surf the net on that? Higgo, T-Mobile and AT&T's terms of service do not allow tethering on prepaid. Actually AT&T doesn't allow iPhones on prepaid either. But people do use iPhones on AT&T and some do tether. I've heard of AT&T terminating user's service because they are using an iPhone, but for a short visit (a month or less) you should be OK. I'd be more concerned with cost on AT&T. At $20 per 100 MB it will get expensive. At that price I don't think AT&T will care if you tether or no. T-Mobile might be a better bet in spite of the slower speeds. T-Mobile has no bans on iPhones and data should work without resorting to hackery, unlike AT&T. If you tether on T-Mobile I recommend doing it in moderation (skip the videos). If I were you Higgo I would buy a Straight Talk phone as they have no strings or contracts or activation fee's. It's simple, dirt cheap, there are regular phones and cheap smart phones ($200). The Nokia E71 smart phone you can link to your computer as a modem and the phone has excellent roaming configurations so it travels well, only thing is it works on the Straight Talk $45 unlimited plan only. I am traveling to Disney in March and planned on using my BB 9800 Torch for Line wait times. I had no idea DATA was so expensive in the US. I have be reading a lot to figure out what my best and cheapest option would be. At $20/100MB from AT&T I can live with this. All the Prepaid Data SIM cards I have researched are around $15/MB....not that is crazy. Just so I understand, I am buy a Prepaid SIM card from at&t and put that into my BB Torch? I am new at this so thank you in advanced with any help you can provide. BlackBerys are a hassle on prepaid because they depend on the proprietary BlackBerry Internet Server (BIS) for data. BlackBerrys aren't not officially supported on AT&T (or T-Mobile) prepaid and there is no BIS. So none of the BlackBerry services like BBM, push Email or even the BB browser will work. I'm not even sure an AT&T shop will give or sell you a SIM if they know you have a BlackBerry. If you obtain an un-activated SIM somewhere else you may need use an IMEI from a different device to activate it online. Because of the activation and setup issues and the fact that the BlackBerry will be a dumbphone at best on prepaid I recommend that if you own any other unlocked GSM phone using it rather than the BlackBerry for your visit to the US. I travel to the US regularly and I take my spare BlackBerry with me every time. I use an AT&T GO Phone SIM that my son buys for me. This gets me phoe calls a SMS. I then buy a cheap data add-n ($19.99) and just ignore the fact that I can;t have BIS. For this I simply use my prime BlackBerry, a 9700 on WiFi at my son's house. US carriers seem to be stuck in the past and are intent on selling monthly plans. In Europe we now have excellent SIM only plans that run for 30 days or even a $7.50 unlimited data plan from Orange UK + pre-paid calling. This is great and loads of tourists and visitors give carriers lots of money to use these services. I think that Sprint tends to have decent coverage, but if I have to go with the better deal one, I'd say AT&T pre-paid is the better option for both stylish device and price. which pre-paid plan can i get for my i-phone 4 which is unlocked? I am planning a trip to the US, will be there about 2 weeks, plan on using my unlocked Iphone. From the info above I think T-mobile is my only real option, but I can't figure out from the t-mobile website how to actually make this happen? the Web Day Pass looks to be an add-on to a phone plan? how do I get a prepaid phone plan sim? Anonymous (1), T-Mobile is your only real choice for a visitor wishing to use an unlocked iPhone in the US. AT&T doesn't allow iPhones on prepaid. There are workarounds but it's not easy and at $20 for 100MB not worth the time and trouble. Anonymous (2),The easiest way to get a T-Mobile Prepaid SIM Kit is at one of the thousands of company owned stores (store locator: http://locator.t-mobile.com/Locator.aspx ) thoughout the country. The kit costs $9.99 and includes 10 minutes of starter airtime. T-Mobile stores will sometimes give you an activated SIM for free if you purchase airtime at the same time. You activate Day Pass from the T-Mobile homepage at wap.myvoicestream.com using the phone's browser. Just looked at the T-Mobile website and they say the Day Pass is 1.49$ per hour? No it's $1.49/day. If it said per hour that's a typo. Hi, I am using a HTC Desire running Android (unblocked) and need a dataplan for a month while travelling this summer. 1 or 2GB would be enough since i plan to use google maps & navigate for directions throughout NY, Maine, Mss & Vermont. The T-Mobile Daypass is an easy solution for travellers from outside US. HTC Desire will work in T-Mobile network, but not with 3G/UMTS. Only GPRS / EDGE. Have tested this last December in Florida. T-Mobile uses GSM 1700 for 3G which is kind of an unusal frequency (in Europe) and the Desire can't use that. A cheap solution for OFFLINE navigation on Android: Buy "CoPilot Live USA" for only 3,57 EUR including US maps from the Android market. Hi - I'm looking for a SIM only deal that will be used for only messaging maybe once a month. It's in a device I'm developing for tracking which will send positional data when prompted. Whats my best bet. Obviously I don't want to pay the monthly fees if I'm only going to use it once a month, are they any free-per-month SIMs that will let me use data only? "Katie: Welcome to T-Mobile online sales support, how may I help you with your purchase today? Katie: I am happy to assist you today. Katie: We do have a Unlimited Text* with 10¢/min Talk for $15. Katie: Yes, that is correct. Katie: We do have a pay as you go plan for talk. Katie: For text that would be the cheapest plan we offer. Katie: You are welcome, are there any further questions I can assist you with today? You: no thats all - thank you again"
So looks like all she could find was $15 per month. Do you have a link to the plan you pointed out? Sure Martyn. It's just the regular T-Mobile Pay as You Go Plan listed near the top of this page using $10 top ups. Then just apply a $10 top up every 90 days. You will be charged 10 cents for every text you send which comes out of your balance (initially $10 from the first refill). Thanks for the great information on this site. I just returned from living in China/Hong Kong for 2 years with my new HTC Desire and I gotta say, it is extremely disappointing to realize how inflexible Cell phone service and plans are in the US. Over there I could just pop in to a 7-11 or something off the boat/plane and buy a new sim card. On the mainland 500MB/month 2G data plan cost $7 deducted from my prepaid balance. I know this kind of thing is that easy in lots of countries. I feel bad for people who come and visit the US and run into this hurdle. Are you sure the T-mobile day pass is $1.49/day? On their page it says "Need data? Get a Pay As You Go data Web DayPass for just $1.49 per hour." "Web Day Pass is $1.49 per 24 hour session. Each session is a continuous 24 hour period and cannot be broken into shorter sessions. Example: You purchase the Web Day Pass at 3 p.m. Monday and have access until Tuesday at 2:59 p.m."
Also I've bought several day passes and when I go to "My Account" on the T-Mobile mobile site to purchase a day pass its says $1.49 a day and when I buy one it lasts 24 hours. * is this really unlimited - i.e. will we be able to use Google Navigate for navigation for instance, and streaming audio for in the car? * I also see on their website that they now have week and month passes (but with limited data). Do these have ANY advantages over the day passes (they seem more expensive for the data volume they offer - e.g. 50$ for one month with one gig)? And is this deal available on NON-T-Mobile phones? * Finally, how does this work - do you really have to go online every day and buy a new day, or can you buy say 30 consecutive days in one swoop? - The day pass is unlimited in that you won't have your data cutoff no matter how much you use. There's a 30 MB soft cap - after you use 30 MB in a day, maximum speed is reduced to about 128 kbits/sec. That will have little or no effect on you because the HTC Desire doesn't support T-Mobile's 3G frequencies and T-Mobile's Edge averages about 128 kbits/sec. - The monthly prepaid plans are only good if you are going to be using more than 300 domestic voice minutes and SMS combined per month. They have no real advantage for data use. - Yes, the day pass does need to purchased daily. SimpleMobile is another good choice $60 unlimited using the T-Mobile backbone. You just buy a sim card from them. does T-Mobile allow you to make VOIP calls? T-Mobile doesn't actively block VOIP though I suspect they are prohibited under the Terms of Service. This site was so helpful! i am considering allmy options and trying to get to the bottom of whether it really could be better for me to switch to pre paid. i have been recommended the straight talk unlimited deal which is $45 a month for unlimited minutes, texts and data and all without a contract. so much easier for budgeting. apparently you can get great smart phones with straight talk as well these days like the Nokia E71 - love that phone. Hi,Yeswap. Thanks for all your replies. I have one more question about T-mobile prepaid web day pass. - The day pass is unlimited in that you won't have your data cutoff no matter how much you use. " * my question is: for exmaple: If I bought the daypass,and only use for 3 hours,I cut off the data, like power off the cellphone. Can I use the daypass again in 24 hours or I have to buy another daypass? * Is it a must that I have to let my cellphone continuous in the working status? Once you activate the day pass it's for one day so if you activate it at 11:00 today it's good until 11:00 tomorrow. The T-Mobile site tells you when it will expire. During that 24 hous period you can use data as often or as little as you want. You can turn off the phone and turn it back on and data will still be active. But whatever you do the pass will expire at 24 clock hours after it's activated. I am planing a 2mth trip around the US and Canada, leaving in a just over a month. I have an unlocked samsung 3G phone. Would T-Mobiles prepaid sim be the best option? I plan to use the phone for calls, texts and some data use. T-Mobile is generally the best choice for visitors to the US. More info here: US Prepaid GSM Voice, Text and Data Options For International Visitors. I have my unlocked iphone4 with a T-Mobile prepaid sim activated since yesterday. I also top that up to $30 90-day pay as you go plan. Making phone call and sms work fine but not the Web DayPass. When I tried getting data access and buy the daypass, it directed me to the web2go but immediately turned to 10.184.76.164/resources/... and have a page said Unknown Error. No hope talking to T-mobile support too. Anyone has the same experience and know the solution? Also try both T-Mobile APNs wap.voicestream.com or epc.tmobile.com Sometimes it works with one and not the other. Thanks for your effort to help but the suggestions above still didn't work. From the main menu, scroll to and select Settings. Data Roaming is set to On. Note: The Apple iPhone is missing the WCDMA 1700 band, and cannot function on the T-Mobile 3G network. Anonymous, Glad you got it to work and thanks for your detailed description of exactly how to configure an unlocked iPhone to work on T-Mobile prepaid. I'm sure these instructions will be a big help to many people. I've made your great how-to instructions into a post of their own to make them easier for others to find. I'm visiting the West Coast later this year for 3 weeks with an unlocked Samsung Galaxy S (GSM 850/900/1800/1900, HSDPA 900/1900/2100). I want to use Google maps, TripAdvisor, email etc extensively. With T-mobile, will I be limited to 128kbps? Is this fast enough for my intended usage? Will I get a faster speed connection with AT&T? Tim, I find Edge at ~128 kbps to be fine for Email. The TripAdvisor mobile website is OK in the Android browser and great in Opera Mini. Maps is slow but usable. You will get faster speeds (at greater cost) with AT&T which uses 1900 as its primary 3G band. I LIVE IN NYC, AND I WANT TO GET MY WIFE A IPHONE 4 PREPAID PLAN, WHICH DO YOU THINK IS A BETTER SERVICE FOR THE MONEY? zeke280, Please don't post comments in ALL CAPS. On the Web it's considered to be shouting and thus rude. AT&T doesn't officially allow iPhones on prepaid. There's a work around (see the link in the post) but it takes some effort, patience and following instructions carefully to make it work. Also, AT&T could cut your data service off for using an iPhone. T-Mobile: the iPhone has to be jail-broken and unlocked to work on T-Mobile and you won't get 3G speeds. There is no one best value, it depends on the amount of data your wife uses. Under 500 MB/month AT&T is cheaper. Over that T-Mobile is the better value. Can the T-Mobile prepaid plan be used in ipad for data usage? Must the ipad be jail-broken? Chris, the iPad should work on T-Mobile's prepaid mobile broadband plans ($30/month for 1GB, $50/month for 3GB). It may also work on the $1.50 Web Day Pass provided the iPad browser can open the T-Mobile online activation page. I haven't heard of anyone trying it though. iPad's aren't SIM locked so jail breaking isn't necessary. You just have to manually set the APN to epc.tmobile.com. You also need to visit a T-Mobile store to get a micro SIM or cut down a standard SIM (tricky, if you don't know what you are doing). However, I don't see much point in using an iPad on T-Mobile. You won't get 3G on T-Mobile and AT&T's prepaid iPad plan (2GB for $25) is cheaper in less you only want occasional mobile data using day passes. I have an unlocked Android phone (Sony Ericsson Arc/X12, Android v2.3). For T-Mobile, you said "Android devices are explicitly blocked for the prepaid home page (wap.voicestream.com)", will I be able to add minutes and buy a data day pass using my phone via the wap.voicestream.com ? I planned to purchase a T-Mobile prepaid SIM from the net and activate it via the web page prior to my trip to Orlando in 32 weeks. Only Android phones sold by T-Mobile USA were blocked from the T-Zones home page. That policy changed recently and T-Mobile is no longer blocking their own branded Android phones from the home page. T-Mobile prepaid Android users can use now m.web2go.com to check their balances, top-up or purchase the Web Day Pass. The free walled-garden sites like Yahoo are still blocked for users of T-Mobile branded Android phones on prepaid. Non-T-Mobile Android devices like your SE Arc were never blocked from the homepage or the walled garden. I've updated the post to reflect T-Mobile's Android on prepaid policy changes. Thanks for the very helpful information on this page. Does T-Mobile allow free access to the wap.myvoicestream.com page in order to buy the Web Day Pass? Yes, prepaid users have free access to wap.myvoicestream.com. BTW, T-Mobile seems to be phasing out wap.myvoicestream.com which is redirecting to an updated account management page at m.web2go.com which is also free to access and provides the option to purchase a Web Day Pass. The nokia x2 goes at 2g/gprs speeds when on the net but at least it shares the signal with your laptop or desktop computer. on 4g speeds the max you can get is 14.4mbps but not sure what it runs on 3g speed. I purchased - based on the suggestions here - a 10$ prepaid sim card from t-mobile for my (European) HTC Desire, then went onto m.web2go.com and added a web day-pass. The first two times that went fine - 30 Meg @ 3g, then down to 2g, but still working. My 3rd day pass also went fine until the 30Megs were gone, and since then I cannot get onto internet anymore: I keep getting a "Subscription Update Required" error. My online account on the t-mobile website shows that I still have a day pass until tomorrow evening, but I can't get into anything anymore. APN is on wap.voicestream.com. Any ideas on how to fix this? Hi there - this is a great useful site. My wife has tmobile prepaid and getting her off of postpaid has saved us a ton of money. Not that many people know it, but there are several sites that are still available for free. I've created a site called http://fast-mobile.com/ which lists them. The fast mobile site itself is available without a data plan. Be sure to take a look at the Tips so you can see how to get access to Yahoo mail and use the google mobile transcoder. Yeswap - take a look and let me know what you think! 2) If 1 is possible, then what happens in the SIM card switch - ie my existing phone # is tied to my current SIM, how to switch that, is it possible? 3) I really don't need anything fast or sophisticated by way of internet - I primarily use my laptop - so this is just for occasional google map checks, occasional Gmail checks, etc. Given that - do I really need the additional $10 BBerry internet plan? Or can I get away with their regular plan for basic stuff? (I have had bberry's for years, but they were all corporate phones/plans that "magically" worked - now it is my own personal device). You mention the things that would not be supported on a Bberry w/o the special $10 plan (like BIS), but I just don't know if I need those to have it work at all for my very basic needs or if those services are just higher-end, so to speak (I know I don't need bberry messenger, that is for sure). 4) If all the above worked, do you have any idea if Tmobile will give me trouble making this switch? It seems all the discussions above are for visitors, what I am trying to do is switch my main (only) phone/text plan over to the monthly pre-paid since it is A LOT cheaper (I have a grandfathered plan that I pay $45 now for 600 minutes (free weekends)+ 400 texts/mo and that is still cheaper than anything they now offer - the $30 is $15 less and I would get 500 more minutes and/or texts and 30 MBs data). My concern is that Tmobile has NO interest in a regular customer switching, so do you have any idea if they block these sorts of changes? You seem to have vast knowledge about all of this. If you can answer any of this, I would be extremely grateful. Switching from postpaid to prepaid is relatively easy with T-Mobile. You will need a new SIM but you can keep your existing phone number. I've never heard of anyone having any trouble making the switch. You can use your existing phone on prepaid. BIS is practically a necessity with BlackBerrys. Without it all you will have is talk, text and web. No IM, no BBM, no email. You can install third party apps as a partial workaround but if you are used to the BlackBerry experience you probably won't be happy without BIS. Also 30 MB is not very much. If BlackBerry email works with your existing postpaid plan then it includes BIS and probably grandfathered unlimited data. Also, keep in mind that if you switch to prepaid you will never be able to go back to the plan that you have now. I have read the post in detail and also the how-to use T-Mobile in an unlocked iPhone. May you help me with some Questions? 1-When you say unlocked european iPhone 3Gs will not work at full speed, using EDGE instead of 3G, what's the difference? What speed is EDGE? Can it work for uploading pictures or surfing the website? 2-How could I buy and use the $50 or $70 T-Mobile plan? I was unable to find proper info at T-Mobile website, as all the plans look attached to a T-Mobile phone... May you help me on this? 3-I also got an iPad. Do you know if I can buy the $25 Prepaid iPad plan in any AT&T shop, activate it in my iPad and use it with my unlocked iPhone 3Gs? Thanks a lot for all the help and useful posts. 1. Edge 100-200 Kbits/sec, 3G 250 Kbits/sec - 3 Mbits/sec. Browsing and uploading will work fine on Edge just slower. 2. When you activate your SIM in a T-Mobile store, online or by calling you can pick your lan. You can switch between plans using the T-Mobile website, mobile website or by calling customer support. 3. I haven't tried myself, but users have reported than a SIM activated on an iPad is currently working on the iPhone for data and SMS only (no voice). AT&T could block this un-supported usage at anytime. can anyone confirm that the day web pass is still working? I bought a Web Day Pass Wednesday with no issues. The T-Mobile mobile website where you buy the Day Pass is a little flaky and sometimes I have to try a couple of times before it goes through. I did have an issue last month where the Day Pass option would consistently fail. Customer support was able to fix it although it took three calls. I finally got transferred to a "technical support" specialist who was able to fix the issue by "resetting my account". I don' t think the Day Pass is going away, the purchase process is a little buggy though. i bought a t-mobile USA To Go prepaid sim card last summer and used it with a pay as you go plan plus the sidekick data option. since i was back in europa afterwards i didn't recharge any minutes and my account/number expired. can i use the same sim card again this year or do i have to buy a new one? and if i can do i just have to activate it on the t-mobile website and choose the pay as you go plan? Once a T-Mobile phone number has expired you need a new prepaid SIM. There is no way to reactivate an expired SIM. I Have a few questions about the iphone 4 before i make decsion and not make a mistake but.....If a iphone is flashed to cricket is it possible to have data text sms and voice ? and if its flashed can you just up and decide to get it and use it as a prepaid phone ? Also, I don't think Cricket has 3G on Cricket so data will be slow. I have an unlocked blackberry. I want unlimited data includes BBM, unlimited texting and voice. I really don't care about voice. I see that T-mobile offers $50 dollars or $70 dollars. I called T-mobile a few weeks ago and they said that my phone can work, but I'm scared about it. I also called A&TT and they said maybe my bb won't work, only voice and text will work. I don't want that. I also want data. Which one is better for me? Ithink t-mobile $50 dollars is better. They also said that if I wanted a bb email I can add 10 dollars too...but I haven't ask them if BBM is included. T-Mobile's $10/month add on includes access to BlackBerry email, BlackBerry Messenger, and BlackBerry App World. I am thinking of getting the T-mobile Daypass data plan. My ipnone 4 is not jailbroken. Will it work the same? No Actually my iphone is bought in Singapore. I am only on travel for 2 weeks in Chicago and was thinking of getting mobile data plan when I am there. Will it work the same then? If the iPhone is unlocked it will work on T-Mobile. See www.prepaidphonenews.com/2011/04/how-to-use-unlocked-iphone-with-t.html for more information. I haven't heard of T-Mobile blocking phones from prepaid because of an unfulfilled contract so the prepaid SIM will probably work. But you'll still be responsible for fulfilling the terms of your contract. I'm going to be in the US (Columbus, OH) for 6 months and I'd like to use my European HTC Desire HD (HSPA/WCDMA: 900/2100 MHz, GSM: 850/900/1800/1900 MHz). I'll like to have a data plan that allows me to check my email, Facebook and use Whatsapp too (I think between 100-250MB will be enough). I don't think I'll be calling and texting much. What plan do you recommend? I don't mind if it's not a prepaid plan but I'll be there for just 6 months, so I don't want to sign a contract for a longer period of time. Postpaid is probably not a good option as a 2 year contract is generally required. If you can keep data usage below 100 or 250 MB and don't text or talk much AT&T will be more cost effective using their 200 MB for $15/month or 500 MB for $25/month data bundles. If you need more 500 MB or 250 voice minutes pre month then you best option is probably T-Mobile's $50/month unlimited talk, messaging and data plan. Data is throttled to Edge speeds after 100 MB but that won't affect you as you will only get Edge anyway. Yashmina, one thing to watch out for with both T-Mobile and AT&T is that they have extremely high prices for international calls, over a dollar a minute to most countries. I recommend using an international calling card or callback service for all international calls with either of these operators. Could you explain to me what a "callback service for international calls" is? I've seen that AT&T has GoPhone International Long Distance plans for $3.99/mo (http://www.wireless.att.com/learn/international/roaming/affordable-world-packages.jsp#long-distance), is that what you mean? My mistake it's always been 100 MB not 200 MB for $15 on AT&T. AFAIK, the AT&T international calling plans you linked to are for postpaid customers only. Have you checked out h2owireless plans? I've used it last time I've been in the US last year (I live in Brazil), but checking now I've found out they now have a very interesting bundle, specially for international visitors: For $50 you can have: unlimited talk&text, 250 Mb of data and $20 for int'l calling. Since calls to landlines in Brazil cost 3 cents per minute, these $20 included in the bundle mean 666 minutes! All of this for 50 bucks!!! And as h2owireless is an AT&T MVNO, my phone can get 3G speeds. I had AT&T last year when i was in US, and it works fine, 100 Mb is good enough for using Facebook, email etc. i had 200 last year and i think i used around 150 total. I live in Panama and will be traveling to Orlando for a 10 days vacation. I have a unblocked blackberry curve, and would like to know , what is the cheapest way to get data for bbmessenger. dont need phone calls or internet navigation access, only the bbmessenger data. Unfortunately US prepaid options for using an unlocked BlackBerry are extremely limited. The only one I know of is with T-Mobile which lets users fn their $50/month prepaid monthly plan add BlackBerry Internet Service (BIS - which is required by BBM) for an extra $10/month. T-Mobile charges $10 for a SIM, but this is often waived if you purchase a plan. So you total cost would $60 or $70. I live in the US and don't really use my phone for much at all which is why I have a T-Mobile prepaid account already. My phone has died, and I am looking to replace it with an Android, maybe an LG Optimus T (suggestions for good unlocked phones at less than $200 would also be appreciated). My intent is to just take the SIM card from my current phone and transfer it to the new phone so I can keep all of the minutes I currently have. I want to sporadically be able to use the $1.50 a day data plan, particularly when I am traveling in the US. Ideally what I want to be able to do is to use the day pass to connect my laptop to my phone and use the computer for some web surfing and e-mail (no videos). Assuming I get the correct phone (and suggestions are appreciated here), will I be able to do what I want to do with a smartphone and the T Mobile day pass option? I am not super tech savvy and maybe there is something I am missing here. Thanks. $200 is pretty cheap for a good unlocked smartphone, I can't think of any off hands. Swapping your SIM into the Optimus T will work. The Optimus T is an excellent phone and a very good value. In order to tether it needs to be rooted and an app installed. Even just surfing on a PC you will hit the 30 MB soft cap very quickly. It should be OK for for light use though. by reading all this it tells me you have great experience with prepaid and T-Mobile. I am from Germany and E/Sep going to visit the South US States. I have some question on what is not yet clear to me. On ebay I bought a T-Mobile Prepaid Activation Card. Initial $3,34 value, expires 90 days after activation. SIM is goog until 5/2013. 1) Well, I understand when I am over in the states I need to activate on the web (i.e. using my notebook wifi). Is this correct? 2) I need to buy a refill card for like $10 to use it. Where to buy and how the 10 bugs are recognized at my phone? April 14, 2011 4:34 PM" ? 4) My phone is Nexus S, spec Triband-UMTS (900, 1700, 2100 MHz)with HSDPA und HSUPA and Quadband-GSM. Looks like I can get full 3G and not edge, right? 5) I travel arround South 3 weeks. If you have any other recommendation for data plan please let me know. Sorry for the long questions but as I said it's not straigt forward to me yet. Your T-Mobile Activation kit should have activation instructions. I know you can activate it on the web at: www.t-mobile.com/shop/plans/ActivateCodes.aspx or by calling 1-877-778-2107 from a different phone. I believe you can also activate by calling 611 from the phone with the unactivated SIM in it. Whichever method you use you will need your phone's IMEI, the SIM card ID and the Activation code from the kit. Refills are widely available at T-Mobile and independent phone shops, "big box" retailers like Target and Walmart, Office Depot stores, 7-11 convenience stores, chain drugstores such as Walgreens, CVS and Publix and at electronic retailers including BestBuy and RadioShack. Your Nexus S will get 3G service on T-Mobile. You have to purchase a Web Day Pass using the T-Mobile My Account page on the phone (this is a free site and works whether you have an active Day Pass or not) Go to m.web2go.com/myaccount with the phone's browswer. Where is a link to info on the T Mobile site about the day pass option. Has this option been discontinued? I can no longer find info about this on the T Mobile site. If this is still available, how do I sign up for this from my phone? Thanks. The Web Day Pass is still available. I used it last Thursday and plan to use it again tomorrow. When you go you to the T-Mobile My Account page using your phone's mobile browser "Purchase Day Pass" is the first option. The Day Pass has never been available on the T-Mobile desktop web site, the only way to purchase it has always been through the mobile site using your phone browser. Hi Yeswap, thanks for putting together all these great info! I am from Singapore and have friends whose kids will be going to the US this month to study at the universities there. I will make sure I share this great site with them to better prepare them for their stay in the US! THANKS A MILLION!!! Thanks so much for the incredible info. It's all so complicated and I keep changing my mind. I live in NY. I travel, mostly to LA. I've never used a smartphone and I'd like to try one. I assume I'll use data about like anyone else once I have it, but I don't intend to be a massive user. Is 100mb of data enough? I've read the average user uses about double that. I'll be switching from ATT postpaid (ripoff) plan and I'd like to go prepaid, but all the plans seems good and flawed in some way. Page Plus looks good, but has low data. Virgin looks good, but can't roam. Same with Boost. Straight Talk? Simple? Using your own device seems nice. T-Mobile's Optimus T is on sale at Radio Shack, but is it better to go with Boost who will whittle the price down every six months? Every time I read a review, someone has a caveat. Can you recommend a good overall plan with decent phones? Sorry for the incredibly general question, but I'm kinda going nuts. 100 MB of data isn't much. You can might be able to get by with using that little if you only use Opera Mini for browsing and never watch videos or listen to Internet radio. T-Mobile Unlimited Talk, Text and Hi-Speed Internet is the plan I would like to use with my Galaxy S2 when I am in the States this month. What are the hidden costs to this package? I seem to recall reading something about the plan being automatically carried over after 30 days. Dose anyone have any experience with this? Thanks. All suggestions are appreciated. Some T-Mobile shops will charge you up to $10 for the SIM but many will give it to you for free. In some states you will be charged a sales tax of 6-10% when you purchase the SIM and each month's service. Other than that that there are no extra charges. You pay in advance for one month at a time using cash or a one time credit card payment. There's no way they can charge you additional months. For the plan to carry over you would need register a credit card with T-Mobile and enroll in automatic payments. Hi, I would really appreciate some help! I have an Unlocked AT&T Blackberry Torch which I am using on T-Mobile's $70 Unlimited Pre-Paid Service. Talk and text work great but my web doesn't work. I've read that I need BIS in order for my web to work. The weird part is that my BBM is working perfectly and so is my email. Shouldn't the browser work as well? I haven't used a Blackerry in years and never on T-Mobile so I may not be the best one to ask, but here goes. Try this: go to options, advanced options, tcp/ip and set the APN to epc.tmobile.com or wap.voicestream.com, no password or username. I'm traveling to NYC in a couple of weeks from London and i want to use my iPhone 3GS for the time i am there (2 weeks) and use 3G. I'm looking to purchase a sim to make the internet on my phone work (more for data then calls) that will last for 2 weeks although i don't mind paying for a month if necessary. My iPhone is unlocked. Take a look at my post US Prepaid GSM Voice, Text and Data Options For International Visitors It lists the available GSM options for short term visitors to the US. T-mobile offers a data day plan for $1.49 per day. Does anyone know if they also offer a data day roaming plan like this? T-Mobile USA does not offer any international data roaming on prepaid. Too bad, I would switch to them in a heartbeat if they did. I life 50% of the time in each country. Data roaming is $5 for 2MB versus no available. AT&T lists data roaming for PAYG customers at .0195 cents per kb. Does this apply to smartphones? How does it work in concert with the $5 plan? I note that the site also outlines that per /kb use does not apply to smartphones. AT&T disables pay per use data for phones they detect as smartphones. I've seen a few reports of some old, non-AT&T branded Symbian, Palm OS and Windows Mobile phones that weren't detected and were able to use pay per use data. .0195 cents/KB is $20/MB so it's expensive (even mobile obtimized Web pages can be over 100 KB and desktop pages can be over a MB). It you use Web services even occasionally the $5, $15 or $25 Data Feature Packages are much more cost effective. AT&T is telling me that my smartphone will work in the US fine on the $5-$25 plan. In addition, I was up in Florida in Feb 2011 and purchased the $15 plan and it worked perfectly. This suggests AT&T is OK with smartphones. The real question is... does AT&T allow PAYG smartphones to roam for data outside of the country (specifically in Canada)? Also note that AT&T told me they disable pay per use on smartphones because of articles like this one (and I am thankful that they do). Some AT&T agents tell me there is no PAYG data service available in Canada when your using AT&T Go Phone service on a smartphone, while others tell me the $5, $15 and $25 plans will work here just like they do inside the USA (at the same rates). Who should I trust given the website is unclear? On the AT&T PAYG Web site under "Roaming in Mexico & Canada"
It says "Now you can use your GoPhone service when you travel to Mexico and Canada! Data $0.0195 per KB"
If what I am being told is correct, the web site should say "Data: Not available for Smartphones" or "Data: For smartphones, the normal Data Feature Packages can be used". The way I read it is that GoPhone data roaming at 1.95 cents/KB will work in Canada and Mexico on any phone, including smartphones, and that data feature packages can't be used when roaming internationally. But above that it says: "Smartphone users must purchase a data package to use data services with any plan. Pay-per-use is not available with smartphones." I'm pretty sure that applies to domestic use only. The data packages are too cheap for international roaming. Hopefully someone who has actually used GoPhone data on a smartphone in Canada and Mexico will chime in. You could also try asking on the GoPhone board at Howard Forums howardforums.com/forumdisplay.php/344-AT-amp-T-GoPhone. AT&T data packages are far from cheap. $5 for 10MB is not cheap. In Canada I pay $2 for 20MB on PAYG. Also hoping someone with experience can clarify. I agree the packages aren't cheap for domestic data, but they are in comparison to international roaming data rates. AT&T charges even postpay customers $0.015/KB for roaming in Canada. Rogers charges $0.03/KB for roaming. Rogers charges $5 for 2MB or $25 for 5MB or $40 for 10MB when roaming in the USA. I read on Howard forums that the cheapest way to get data in Canada is to buy a $10 SIM with Rogers and a $7 weekly data plan which allows 125MB of date (something I already use now all the time). I am going to switch from Rogers PAYG to AT&T PAYG permanently even though I live in Canada half of the time and do this in the future when I need Canadian data. Correction: Rogers charges $5 for 2MB, $10 for 10MB, and $20 for 40MB. 1. To my Ipad i buy AT&T iPad Plan + $25 so i get 2 Gb data. In that case i can share my dataplan thrue Ipad to Iphone Etc. Leaving my Sprint everything plan. Can you recommend a similar prepaid everything plan? Your choice should depend on where you need coverage and whether you want a BlackBerry, Android phone or a plain old feature phone. Coverage is the most important factor in choosing a prepaid carrier.Sprint postpaid roams on Verizon and regional operators which means better coverage than most prepaid carriers. Among prepaids Straight Talk non-Android CDMA and GSM, Verizon, H2O and T-Mobile have the best overall coverage in roughly that order. Boost, Virgin, Simple and Straight Talk's Android Plan have much more limited coverage but do work in most cities, larger towns and along major highways. See this PrepaidPhoneNews article for an overview of coverage and links to each carrier's detailed coverage maps Coverage Maps For All Prepaid Carriers. You should rule out any carriers that don't provide service where you live, work and play. Im using an unlocked iphone4 and trying to purchase the web day pass. However unable to find that option on the web2go.com website.. Can you pls advise how I can get that activated? Thanks! I'm from South Africa. Brought my BB 8520 with me. Purchased a "cheap" T-Mobile phone for 14$, activated it, and then took out the SIM and put it into my Black Berry. For 60$ a month you get unlimited everything, including BIS--the service is not that great in rural areas, but if you are visiting major centres, like DC or NYC etc, it's fine. I'm from Germany! I visit NYC on end of October. In the past, I used my phone (3g GSM) with a T-Mobile prepaid card. I refilled it every time with $ 50. I only use the internet with the phone. I don't make calls or send text messages. I only need the Data! My question is almost the same as the person right above. I'm coming to the states in few days time. Just gonna be there for 7 days. I wanna get a mobile plus data plan for my android phone. What would be the best option for me. See US Prepaid GSM Voice, Text and Data Options For International Visitors for a comparison of options that are practical for short term visitors to the US. As for which is best, if your phone has either the 1900 or 850 3G bands I recomend AT&T PayGo with a $15 or $25 data pack as it will give you 3G data. If you don't have either of those 3G bands you will be stuck with Edge on both AT&T and T-Mobile. T-Mobile with the $1.50/day Web Day Pass will be more cost effective. -The $50/month prepaid plans from AT&T and T-Mobile do not include BlackBerry Internet Services (BIS). It is available as a $10/month add on from T-Mobile (See: Additional Services - BlackBerry but is not offered on any AT&T prepaid plan. -WhatsApp uses BBS but some people claim there's a way to configure it to work without it. See here: Can use Whatsapp without BIS for a discussion. Is that a trick question? I believe MetroPCS' requires a $50/month unlimited Android plans for the Optimus M. So if you are using the phone on Metro you have unlimited everything. Thank you for all the information, Yeswap. It has been very useful for me as I will be travelling to NYC, Boston and Toronto for a 3 weeks holiday next week. This website had helped me to get a better idea on the network in US now. I am using an iphone 3s. After reading all the above info, I think I will likely to go for the T-mobile prepaid plan. Just a quick question, will it work for both in NYC and Toronto? or do I need a different pre-paid plan while in Toronto? please advise me. Many thanks. Do you know if i can buy AT&T Ipad plan/preepaid true Ebay pr something? Or do i need to buy it in US? You can get the micro-SIM from anywhere including eBay or an AT&T shop in the US. As long as it's an unactivated, never used AT&T micro-SIM it will work. Activation is done online on the iPad. A credit card is required. Some users reports problems using non-US cards. If that happens, buy a Visa or Master Card gift card at a drugstore or supermarket and use that. For the card name enter "Gift Card" or whatever name is shown on the card and use any US address such as your hotel address. just a note for anyone else that has Tmobile prepaid plan, I found a nice site that gets you free internet, although it does sometimes lose connection and not connect and a little slow but all the same free. just click near the top where it says "choose your device" and pick one. I myself have a Blackjack 2 on Tmobile's prepaid plan and I just use the pc version, but any should work find no matter what phone you have. the different version just display differently. Thank you so much for all this invaluable info. I am using currently pay-as-you-go Tmobile in a Nokia X2 phone and I am thinking on upgrading to an android phone (I love the Samsung Galaxy S) and I need data (the web pass is gone already!). I would like to get the monthly $30 unlimited text and data and 100 minutes, and I read something in your website of how to get it and transfer my existing phone number but I cannot find it now. Can you please send me the link from your website? 1- can I get this plan with the Samsung Galaxy S (not the refurbished that Tmobile sells in its website). Can I use it with any Tmobile phone? Or I need to buy one of the crappy that they offer in the website? 2- How do I transfer my cell # to the new phone/sim card? Here's my post about the $30 unlimited plan: Big Changes at T-Mobile. No More Web Day Pass, New $30 Unlimited Data Plan Requires a New Activation! You can use the plan with any T-Mobile or unlocked GSM phone. The plan is only for new customers so you must get a new SIM and activate it online at www.t-mobile.com/PrepaidActivation in order to get it. Officially you can't transfer an existing T-Mobile prepaid number to the new plan. I've heard of a few people who were able to do it after repeated calls to T-Mobile over a period of days. It's probably easier to port your old number to Google Voice and use Google Voice to forward it to the new account. Thank yo so much for your speedy response, Weswap. I have to "investigate" the Google voice option, as I am not the most tech savvy person, since I have the pay-as-you-go option tied to my existing number. Thank you! You are fantastic!! Reading the last post from Yeswap I realize that the Google Voice it would be a good option not only for existing Tmobile customers that want the $30 unlimited web program, but also for pay-as-you-go customers. If you loose your phone you also loose your phone #. If you have Google Voice all you have to do is to re-direct your phone # to a new phone #. Has anyone can say if the Google Voice system is reliable? I would like to know about good and bad experiences since I am seriously considering it. I've used Google Voice for two and half years. I found it very reliable for forwarding calls and text messages to multiple phones, forwarding texts to Email and handling voice mail. The speach to text feature that transcribes voicemails and sends the text version to your email is not very accurate, although the scrambled text can be pretty funny sometimes. Google voice is sooo coooool!!! @vgamesx1, is that a chicken-or-egg thing? hi yeswap! thanks for all the info. and am about to go for the $30 unlimited plan. but at the activation site, there's this blank that requires me to fill in the phone serial no. too? i didnt purchase a t-mobile phone, (just bought the activation kit like u mentioned, as i have an unlocked iphone) so what do i fill in/ how do i proceed? You are supposed to use the phone's IMEI which is normally printed on the phones's box and on a label under the battery. It can also be displayed on the screen entering *#06# into the dialer on most phones. Hi! Thank you for all of your information. To date, though, I haven't seen anyone post an inquiry regarding the cheapest way to have a cell phone in Canada for 1/2 the year and a cell phone in the US for the other 1/2 of the year (and have only one or perhaps two consistent phone numbers from year to year. Of course, this applies to many, many Canadians who come down to the States for the winter months. "Cricket" is my choice currently when I'm in the USA because I have unlimited long-distance calling to Canada, as well as the unlimited data, texting, photo texts, video texts, Wifi and e-mail. However, in order to keep my phone number in Canada I have to maintain my service there on my cell phone (and on my husband's as well), which costs us sooooo much money - $157.00 per month on "Virgin Mobile". We don't have any landlines anywhere. I'm looking into getting an unlocked phone (I like Android - Galaxy S or similar - GSM? ), and then going on a SIM card plan) I'm wondering if this would be cheaper, and what will I have to forfeit, if anything. I really like to see the grandchildren take their first steps within minutes of this amazing event, which is possible with the current Cricket cell phone plan. I know you haven't written much about SIM cards and SIM Card international calling, so if this is something you aren't familiar with, please let me know. I currently have a Samsung Europa Phone and using an At&t Go Phone Sim Card. I am very interested in the new $30 monthy T-Mobile plan with unlimited Text & Data up-to 5GB. My only concern is whether or not my phone would be able to handle the T-Mobile 4G network? Any insight? I have an unlocked Samsung Galaxy SII, bought in my native Switzerland. Every couple months, I visit the US for 2 weeks. I want to use a local SIM card in my phone whenever I'm here. 1. What is a good prepaid plan to have unlimited data while I'm here? 2. Will it offer high speed? 3. What's best to allow me to use it when I'm here, not pay when I'm abroad, and then resume using when I'm back? I already had a bad experience with T-Mobile. I was here in September and got a $50/monthly plan with T-Mobile. I put on $100 credit. It worked fairly well, though speed wasn't so fast. I asked them to freeze the account while I was back home in Switzerland, and they said fine. Yet when I called now to reactivate it, they told me the line and remaining credit ($47) were all canceled - because I hadn't called them after 30 days to reactivate. They never informed me of that requirement; if so, I wouldn't have suspended it. Anyway, if Yeswap or someone else can advise me on a suitable company/plan for someone who wants to retain a number while making occasional visits to US, I'd be grateful. With that phone you will only get high speed (3G) data with AT&T, which doesn't offer an unlimited prepaid option. There's no way to keep a line active except by making regular payments, every 90 days with most refill denominations, 1 year with AT&T and T-Mobile's $100 refills. Unless you visit the US frequently, I recommend you buy only as much credit as you need each visit and start over with a new SIM and number each visit. See my post US Prepaid GSM Voice, Text and Data Options For International Visitors for more details about US GSM operators prepaid offerings. I am want the highly acclaimed Galaxy Nexus and likely will get an unlocked version to avoid the high Verizon rates, and miss out on their 4G LTE, but need help understanding which of the prepaid plans would offer the best speed and lowest price. Also, do any of the prepaids have an agreement to use Verizon's 4G LTE network, or are the prepaid forced to use Verizon's or other carriers 3G network. The best data prices are from T-Mobile. Unfortunately the Samsung Galaxy S2 doesn't support T-Mobile's AWS 3G frequencies and will only get slow 2.5G Edge data. It might be better to get a phone that will work T-Mobile's 3G like a Symbian^3 device (Nokia N8, C7) or a Nokia N900 or N9 or the Galaxy Nexus. and good morning i think ?? thank you for the fast answer. That article doesn't specify 3G frequencies but this one does gsmarena.com/samsung_galaxy_note-4135.php and there's no 1700 support for T-Mobile. There's no cap on Boost at this time. Great site, thanks a lot for all the information. I saw your comment on BIS being not officially supported by ATT on prepaid but I've just seen that T-Mobile is offering (new offer, I guess), unlimited calls and data on prepaid for US $50 and, if using BB, havin g access to BBM and BB Mail for extra US $10. I'm travelling to the US soon, and I have a BES plan (need to be connected during travel times). Do you know if that kind of prepaid data packages (the BB additional) would enable me to use my BES? The $10 T-Mobile BlackBerry add-on provides BIS but not BES. The same is true of SIMple Mobile. I don't know of any US prepaid operators that support BES. Perhaps you can forward your enterprise email to a personal email address and access that that using BIS and the BlackBerry Email app. I used the T-mobile pay-as-you-go plan with an unlocked Android phone on my visit last October. I could not activate the daily plans with web access through the mobile portal (the change did not "save" no matter what or how many times I tried), but using the browser to go into the regular my.t-mobile.com I could change to the $3/day plan with unlimited text, voice and web (with the first 200 MB per day at up to 4G speed). That's a bit high if you use it every day for a month, but it certainly beats what most hotel charges for a day, and you can use it anywhere. The info on this post was of great help so I'd like to report my experience. I'm wondering which plan would you recomemnd for me? I will be traveling to U.S next week from Jan 7-21 from LA-LAS VEGAS-SAN FRANCISCO. I want to use mostly for texting SMS to indoensia and data for skype/google map to avoid expensive talktime with my family in Indonesia. I'm using unlocked HTC nexus one as my phone. Unfortunately, there aren't any really great deals on prepaid GSM data in the US. Unless your Nexus One is the US T-Mobile version with AWS 3G band support you will only get 3G on AT&T which charges $25 for 500 MB. AT&T international text messaging is expensive, 25¢ per message to send and 20¢ to receive, so you probably want to use email, IM or a web based messaging service instead of texting. See my post US Prepaid GSM Voice, Text and Data Options For International Visitors for more details and suggestions. I am just wondering what is a cheap, unlimited everything plan that has great reception and cool android phones!?!?! I don't think a cheap, unlimited everything plan that has great reception and cool (or any) android phones plan exists. First only Boost and Virgin have true unlimited data, everyone else is either capped or throttled). Boost and Virgin will probably institute a 2.5 GB soft cap sometime this year. The cheapest unlimited Android plans (Straight Talk $45/mo, Virgin, Boost $55/mo) use the Sprint Network which isn't very fast and doesn't have great coverage. Red Pocket or Jolt ($60 2GB) use the AT&T for pretty good coverage and speed and you can use any AT&T phone but data is capped at 2 GB. If you can live with 2GB, which isn't hard if you avoid long audio and video streaming session, Red Pocket is probably the closest to a cheap, unlimited everything plan that has great reception and android phones that you will find. Thanks so much i was thinking virgin mobile, straight talk, or boost but i cant decide. Virgin mobile has a phone i love but it looks like the reception isnt good so i don't know what to do. I am a temporary visitor to US, have been here for 3 months already and will be here for atleast another 4. When I first arrived I had an iPhone 3 and was told that it would not work on AT & T GoPhone and that I was purchasing the SIM at my own risk. So I took the risk, and alas i worked however I was told it was impossible to get data on GoPhone with iPhone and informed that I should buy an Android. So needing a phone upgrade anyway I purchased a Samsung Galaxy SII (international version) and on the same GoPhone plan followed instructions and bought a $15 data smartphone package. This initially did not work and when I did ask at a GoPhone specific center in San Fran I was told that I was once again taking a risk as there AT&T provided no assurance that it would work on an international phone. After visiting another AT&T store and the young man there telling me to Google the APN settings for Android I finally got it working. It appears to only operate at Edge speeds, I would have thought that I could atleast get 3G speeds on my 4G capable phone. So my first question is can I get faster than edge speeds on my Samsung Galaxy SII using GoPhone. I am seriously considering changing carrier as AT&T data packages are a rip off (Tmobile seems like a better budget option) particularly if I can retain my number. All the specs I've seen indicate that the international version of the Galaxy SII has the 850 and 1900 3G bands used by AT&T. So you should be getting 3G wherever AT&T offers it. You can port your number to T-Mobile although you definitely won't get 3G with them as phone doesn't support the AWS 1700/2100 band the T-Mobile uses. Hi Yeswap, I currently have an unlocked iPhone4 with H20wireless. They disconnected my sms messaging because of "excessive" amount of texting, so in theory I dont understand why they are unlimited when they really aren't. Now my question is, which prepaid service do you think I should enter if i text a lot and use the web a lot ? thanks for the help. If you want to keep the AT&T network and the iPhone, Jolt and Red Pocket won't cut you off for texting too much. They do have a 2GB/month data cap. If you use more than 2 GB your data stops working until the next plan month when it starts up again. If you need more than 2 GB a month only Boost and Virgin still have unlimited data. Hi, I was also interested in the comments from Snowbirds and other "aliens" who vacation in Florida as to how expensive Data is in the States compared with other countries, especially as he US is the land of unbridled competition and cheap prices compared to almost any other 1st world country, in other field. We live in UK but have a FL Condo and up to now I've always found a friendly neighbour who would let us tag into their wi-fi for a few beers for a week or so. No luck this year with everyone locked down and the best my research could come up with was a 4G T-Mobile Hotspot, worked well but soon ran up $80 of use. We want to stream UK TV for a few weeks a year but haven't found a way yet that is a sensible price other than visits to Starbucks/McD to download and watch later. Someone is missing a market here! love your website... thanks for the article! i have virgin but need more than 1200 minutes! Thank you for a lot of information in one place. But I have a question about one very significant issue. WHAT IS THE DIFFERENCE BETWEEN "Web" and "Data" access. I currently use an Android on Verizon but want to migrate my two kids (who currently use simple voice/text phones) to smart-phones when they begin college this fall. All the information in your post and Table refer to "Data", but the carriers with $30-$40 plans refer to "web" access. Can you please explain the difference. With my current, and overpriced Verizon plan I can download my POP3 email to an email app on my Droid, and download news to news Apps. Will this be possible on these "web" access plans? Thank you for any help you can give on this issue. Web and Data generally mean the same thing. Any of these plans would allow you to access POP3 mail with a suitable phone and app. I wish this was more up-to-date. No mention of Metro's 4G options, Page Plus's recent plan changes, Virgin's throttling, etc. I do try to keep it updated. It's also meant to be as concise as possible and focus mainly on comparative pricing. I avoid getting into implementation details in this post such as Metro's LTE (which I don't consider a big deal, as it's slower than T-Mobile's HSPA+ and only about as fast as AT&T's). However, I've added a mention of Metro's LTE as well as Page Plus' Leap Year promotion and the impending VM soft cap. I also fixed a couple errors in the Page Plus data overage pricing. Thanks for the heads up and please let me know if you find errors in any of the posts on the sites. Hi, I have a question please. I have a t-mobile sim card that I signed up for with a prepaid pay as you go plan. I setup the NON-smart phone (motorola Razr V3) with the $10 starter sim kit. My question is, if I want to use my new Samsung Galaxy Note that I bought from germany, can I simply take the same sim out of the Motorola and place it in the Galaxy Note. I am not interested in data, as I will use wifi. I ask this question about using the same sim card in another phone, because when I setup the sim with the motorola, I was asked for the IMEI number of the motorola phone. Now obviously the IMEI will be different. Yes, provided the Note is unlocked, it will work. The IMEI you use to activate doesn't matter. This post covers what I consider the "best" data deals. 10 MB is so little data that, in my opinion, it's not a good choice for someone mainly interested in data. 1. Coverage - study to coverage maps and only consider carriers whose networks provide service where you need it. 2. How many minutes, texts and how much data you typically use in a month. Then choose the cheapest plan that meets thoese needs. all i want is to make PHONE CALLS . how about showing plans w/only that feature. Hi Yeswap, I got the T-MO $30 unlimited plan with a Samsung unit from Walmart. All is OK except occassionally I go over 100 min, no biggie. My question is I found voice works when out of T-MO coverage but data redirects to T-MO's page and doesn't appear to work at all. Is there a prepaid option to add data roaming on T-MO or any prepaid plans that work "off their network"? Data doesn't work on T-Mobile prepaid when roaming and there is no way add data roaming. AFAIK, no US prepaid carriers offer data roaming. OK, bummer. I just use my phone for data mostly, and rarely talk. The 5 gig limit is nice and allows the occassional tether as well. It is just a problem when I go out of TMO's area. The voice works on the other carrier and I can "see" data but it won't work, just goes to their website. My friend's post paid TMO works though. If ATT or another GSM carrier had a network with more coverage than TMO and a comperable large data plan I MAY be interested in switching. Hi, I am visiting NY, LA, San Fran & Tahoe next month in March for a period of 3 weeks and was wondering if some one could point me to a good plan that is meant mostly for data usage + the occasional phone call to local USA numbers? I plan on using my Samsung Galaxy Ace phone (Android) to tether the data plan out to my ipad and laptop. Would GREATLY appreciate any advice on which sim card I should be getting to achieve these purposes? 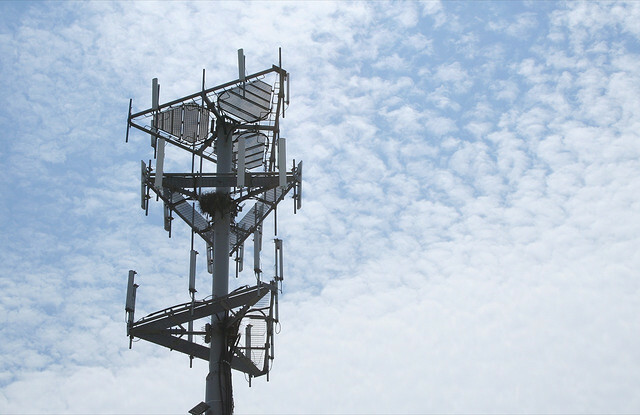 This article is current and lists what I consider the best US prepaid data options. Provided your phone is unlocked you could use either T-Mobile or AT&T or one of their MVNOs like Straight Talk, Red Pocket or SIMple. Both networks have decent coverage in the cities you mention. Galaxy Ace's sold outside North America (S5830) don't support 3G on any US operator so you would only get Edge speeds. The Canadian market Galaxy Ace (S5830L) has support for AT&T's 3G frequencies, but not T-Mobile's so you get 3G with AT&T. Unless you have a US address that SIMs can be shipped to you are pretty much limited to operators that have retail shops, which means T-Mobile and AT&T. See here: US Prepaid GSM Voice, Text and Data Options For International Visitors for more about getting a US SIM and service. Hmm my phone is unlocked and is capable of reaching 3G speeds in Asia. Is there any way I can confirm if my Galaxy Ace will support 3G with any US operators? If it's any help, on the galaxy ace box it says Quad-band (850, 900, 1800, 1900). I think AT&T supports 3G on the 850 and 1900 frequencies? Those are the supported GPRS/EDGE (2G) frequencies. HSDPA is 3G and the 900 and 2100 frequencies are not used in the North America, so no 3G for the Ace in the US. Which would be my best carrier option? I'd like to talk text and browse. Occasionally I need to download an email attachment or a pic from social networks. If you are not going to be using the phone very much you could save a little by geting an AT&T GoPhone SIM at an AT&T shop. The SIM is free, minimum top up IS $15, 10/minute, 20/text, 500 MB OF DATA is $25. Thanks for your list, very helpful. I would consider ST unlimited but do not have AT&T iPhone, I have Verizon iPhone, what is my best option for unlimited everything? Hi Yeswap! First, thanks for all of your information. I need to buy a no-contract, GSM, 4G-capable smartphone that I can use twice a year in Germany & France and at home (U.S.) the rest of the time. I'm leaning toward T-Mobile for the carrier and a Droid LTE-capable phone; perhaps a Samsung Galaxy S II or?? Am I on the right track? 1) Should I go with T-mobile & pay the $60-$70/month? 2) Which phone should I go with? I assume I need a GSM phone (for Germany/France) as well as a SIM card (that I plan to buy there). At home (U.S.) I'd like to plan that has voice & text and get the best data rate possible on a no-contract phone. I just don't want to buy a dinosaur. T-Mobile is a good choice if you need talk less than 200 minutes a month ($30 plan) or need more than 2GB per month ($70 plan) and can live with the rather limited coverage area. If you can get by on 2GB or less per month AT&T MVNOs Straight Talk, Red Pocket and Jolt will give you much better coverage, and a better selection of phones at the same $60 (Red Pocket, Jolt or lower $45 (Straight Talk) monthly cost. To use the phone in Europe it must support the 900 and 1800 mHz GSM bands. To get 3G in Europe the phone must support the 2100 mHz UMTS band I. To use a phone on AT&T it must support the 850 and 1900 mHz GSM bands. 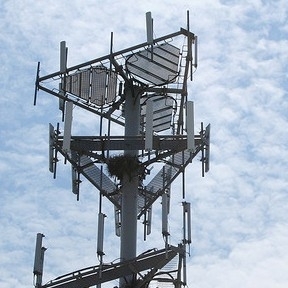 To get 3G it must support UNTS band II (1900 Mhz) and UTMS band band V (850 Mhz). Most recent T-Mobile branded phones support the required frequencies for Europe including 3G but check the specs before you buy as a few don't. The only unlocked phones that support both T-Mobile 3G and European 3G are the Samsung Galaxy Nexus and the Nokia N8, E7, E6, C7, C6-01, 500, N09 and N950. Right now, does the 30 dollar plan with T-Mobile(the plan with the unlimited text/data with 100 minutes of talk, or the same one you seen on Walmart) work with an unlocked iPhone4 or iPhone4S? If it does work, what kind of drawbacks come with this plan? (Bad coverage, etc.) Also, how does it work? You just buy the SIM card from t-mobile's website, insert it in the iPhone, and register it or something? Unlocked iPhones work with that plan but there are some drawbacks. You will not get 3G data speeds, only EDGE (About 1/40 as fast as with AT&T, 100 Kbps vs. 4 Mbps). MMS will not work. Fixing that is complex and may require jailbreaking and a $2 app if you're using an unlocked AT&T iPhone rather than a factory unlocked one. Personally I think it's more trouble than it's worth. An T-Mobile Android or Windows phone will work much better than an iPhone on T-Mobile and require no manual setup. To activate the T-Mobile $30 5 GB plan, buy a prepaid activation kit (which includes a SIM and activation code) from the T-Mobile website or Amazon.com (Walmart doesn't sell SIMs, only phones) and activate it online at www.t-mobile.com/PrepaidActivation (not by calling, its an online exclusive plan). So if I buy it an unlocked iPhone straight off of Apple's website, the only drawback is having to change the settings to get the data working and the data plan would be much slower? The MMS problem would only show up if I bought a carrier specific unlocked iPhone right? And if you don't think that's worth it, what other high quality Android alternatives would you recommend at around the $550-600 mark? Yes, you are correct regarding the iPhone. The $599.99 Samsung Galaxy S II is the best current T-Mobile Android phone. First thank you for all this valuable information, it is a HUGE help!! I was hoping you could offer some advice. I'm a Canadian who usually does 5 or 6 trips, usually from 2-5 days per trip to various parts of the US for cycling races. Previously I have just dealt with rediculous roaming charges that Rogers Canada inflicts. I a tired of paying enormous US roaming charges so I am looking to change to a US plan through a US carrier. This year I have a big trip - I am going for 7 weeks, driving from Toronto to California and back. I currently have a Blackberry 9700. I use my phone mainly for data (BIS pushed email) and a little voice. If I wanted to use my BB, I must UNLOCK it and then go with T-mobile or SIMPLE monthly plans, correct (since their daily plans don't cover BB's)? However, if I buy 2 months to cover my 6-week trip I am still out of luck for my short weekend trips. Also will my SIM expire after my 2-month plan ends? Would it be worth it for me to just buy another pre-paid Android phone on T-mobile with a pre-loaded SIM card and get a pay-as-you-go daily package with them? It appears BIS only having monthly is a pain in the neck. I only require MS exchange email on my phone which should be fine on an Android capbable one. Any advice would be appreciated!!! Thanks.